Commander (2015) brings 5 new enemy-colored preconstructed decks to the widely popular multiplayer format, Commander! Casual players will enjoy playing with these decks right out of the box as well as crafting new Commander decks or adding to their own deck creations using the 15 new Magic cards found in each deck! 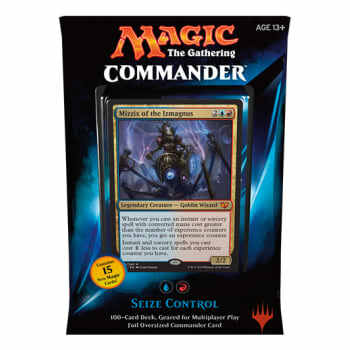 With a total of 55 new cards in the set, Commander (2015) is sure to be exciting for any experienced player looking to change-up their favorite decks!